Posted by Ali Kane on Tuesday, February 27th, 2018 at 1:34pm. Sea Turtle Nesting Season begins this week, and the experts at the Loggerhead Marinelife Center in Juno Beach are hoping to have another record-breaking season. The nesting season last 8 months, starting this Thursday, March 1st until October 31st. Last year was the best year to date since the Loggerhead Marinelife Center began several years ago, and the center is hoping for an even better year this season. Along the sandy coastline in north Palm Beach County, thousands of sea turtles lie eggs in the sand. The nests usually contain about 100 eggs each that requires 45 to 60 days before they start hatching. Making this area one of the most populated sea turtle nesting locations in the world. The main reason why this area is so densely populated is due to the gulf stream current that bends towards the state of Florida, and the close proximity to the Sargasso Sea, a region in the Atlantic Ocean. The journey for the sea turtles is not easy, a range estimating from 1 in 1,000 to 1 in 10,000 sea turtles survive and make it into full adulthood. 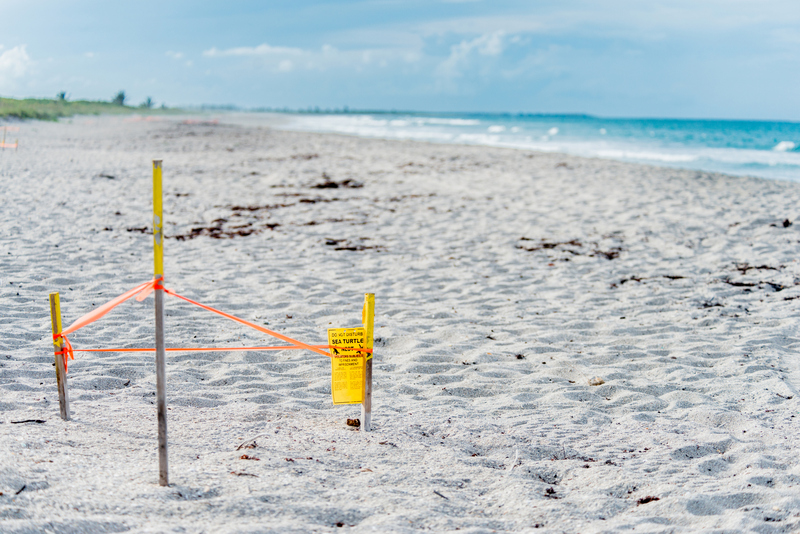 Along the way, the turtles face a lot of predators including fish, fire ants, and humans.Even though the turtles bury their eggs in 3 feet of sand and are blocked off with yellow tape its important to watch where you are walking when on the beach. Greens, Loggerheads, and Leatherbacks are the three species of sea turtles that all use Juno Beach as a nesting place for their eggs, and their behaviors and habits vary. All have been protected by the Endangered Species Act. For the turtles, the Loggerhead Marinelife Center in Juno Beach focuses on rehabilitating and helping injured and endangered sea turtles through the educational programs and research offered at the facility. The Marinelife Center monitors roughly 10-mile stretch of the beach several times a week where the sea turtles nest and provide care for the sick and injured turtles before being released back into the ocean. Last year, the Loggerhead Marinelife Center saved over 19,000 sea turtle nests breaking the record from last season which was just over 16,000. Two more records were broken this past season including the Most Crawls which more than 51,000, and the Most Green Turtle Nests with over 7,800. The center also has efforts put in place to protect the turtles and their nesting’s by reducing the lighting on the beaches, requirement that shrimp boats release turtle tangles in the nets, and through public education.